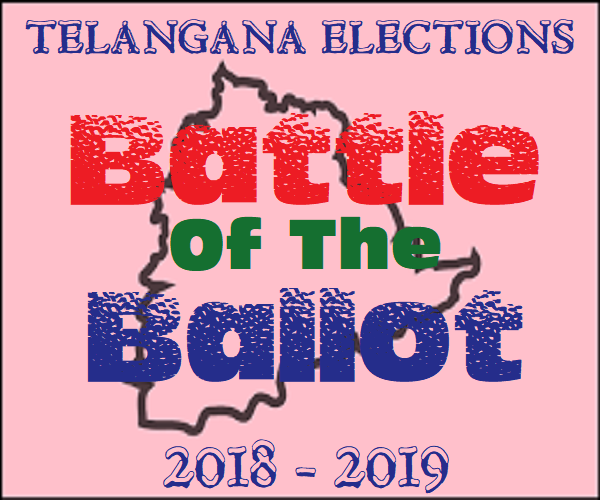 The process for the Telangana Assembly elections is commencing Monday with the issue of notification for the polls in which the TRS is bidding to retain power and the Congress-led alliance appearing headed for a no-holds-barred contest. 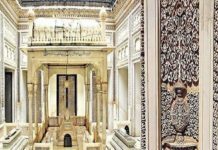 The 119-member assembly was dissolved on September 6 on the recommendation of the K Chandrasekhar Rao-led TRS government, more than eight months ahead of the expiry of its term, paving the way for early elections. The gazette notification for the polls would be issued on November 12 and the last date for filing of nominations is November 19, according to the schedule released by the Election Commission. Elections will be held in a single phase on December 7. The TRS (Telangana Rashtra Samiti) has already announced its candidates for 107 segments, including 105 at one go within minutes of the assembly dissolution, giving itself a jump-start to the campaign and stunning the opposition. It is going it alone in the poll, as also the BJP. The main opposition Congress forged an electoral pact with the Telugu Desam Party (TDP) headed by Andhra Pradesh Chief Minister N Chandrababu Naidu, the Telangana Jana Samiti (TJS) founded by retired Osmania University Political Science Professor Prof. Kodandaram and the Communist Party of India. The Congress last week said it would leave 25 seats for its alliance partners – 14 to the TDP, eight to the TJS and three seats to the CPI. 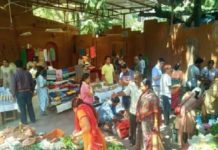 TJS is in talks with the Congress, pushing for giving it the constituencies of its choice, while the CPI is demanding that it be given five segments. In the 2014 assembly election, the TRS bagged 63 seats with a vote-share of 34 per cent and the Congress 21 seats with 25 per cent vote-share. The TDP had fought the poll then in alliance with the BJP. ALSO READ: Why Telangana RTC's ‘Ailing’ Hospital In Hyderabad Waiting For Correct 'Diagnose'? TDP won 15 seats with 14.5 per cent vote-share and the BJP five with seven per cent vote-share. The last few weeks have been seen war of words between the TRS and Congress as the parties hit early campaign trail. The TRS has termed the Congress-led alliance opportunistic and, in particular, launched sharp verbal attacks on Chandrababu Naidu accusing him of putting hurdles in Telangana’s develoment. Chandrababu Naidu has written letters to the Centre asking it not to give permission for irrigation projects in Telangana, said K T Rama Rao, Minister in the caretaker Government and son of the Chief Minister. Congress leaders have charged the K Chandrasekhar Rao government with failure to honour pre-election promises and seeking to perpetuate family rule. The BJP believes the go-it-alone strategy would give it an opportunity to assess its actual strength on the ground as it seeks to draw inspiration from the great strides the party has made in states such as Maharashtra and Assam. ALSO READ: Why Former Minister Of Telangana 'Naini Narsimha Reddy' Unhappy Over CM 'KCR'? There are inspiring states like Haryana, Assam and Tripura and even Maharashtra where the BJP has exponentially grown when we went all by ourselves, Telangana BJP spokesperson Krishna Saagar Rao told #KhabarLive. So, we are looking for an exponential growth in Telangana, he said. 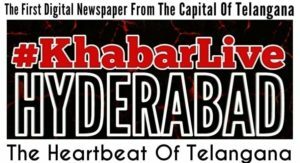 Kodandaram, who had led the Telangana Joint Action Committee formed in 2009 with the goal of achieving a separate Telangana State, alleged the people who fought for Telangana statehood were neglected during the TRS rule. The Star Cricketer ‘Dhoni’ Era — Beginning Of The End?